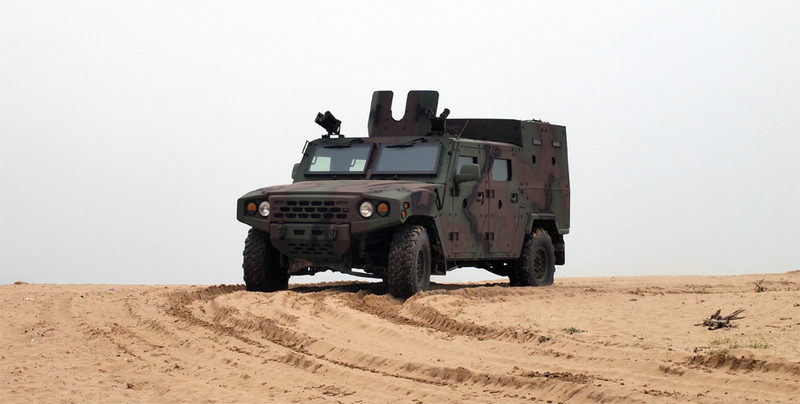 Does The Philippine Army Need An Armored Truck? During the ADAS 2018 arms show in late September nearly a quarter of the available indoor floor space was occupied by South Korean companies. This decade has seen ties between Manila and Seoul flourish as the former sought to modernize its armed forces. The Philippine Army (PA) in particular is reliant on South Korean equipment and this may soon deepen when an armored truck is acquired to bolster its motor pool. This explains Kia Motors’ visibility at ADAS 2018 where it displayed its Light Tactical Vehicle and the “bare chassis” it’s based on. But no bidding documents for a battle-ready 4×4 have come to light yet and it might take years until the branch decides on adopting new wheeled armored vehicles. The PA suffered a rude awakening in 2017 when it had to retake the city of Marawi after it was seized by an Islamic State-linked terrorist group. 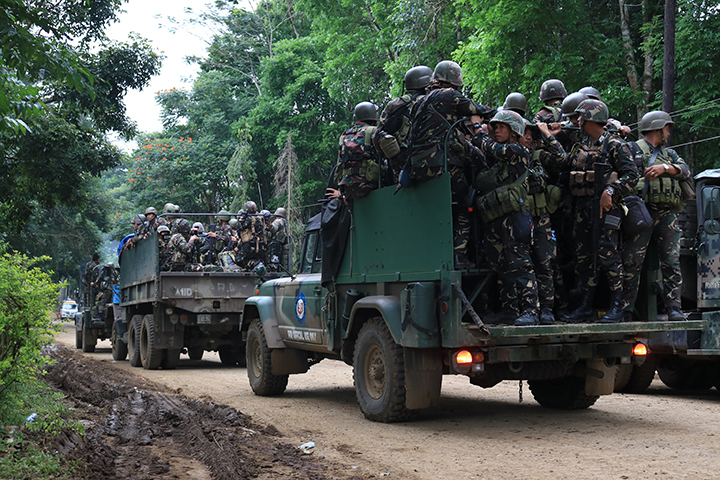 Several months of fighting strained the PA and the police’s resources, which prompted generous assistance from the Philippines’ main allies. 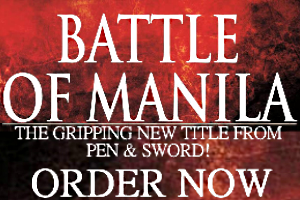 The army in particular realized its urban warfare doctrine and much of its arsenal was unsuited to the combat that took place in Marawi, where several hundred terrorists fought tooth and nail until their leader was killed. Casualties among government forces in Marawi were severe, with 163 soldiers killed and ten times this figure wounded, and both the South Korean KM450 light cargo trucks and the US-made Cadillac Gage V-150 armored cars brought to the theater performed dismally in the ensuing struggle. The KM450 in particular endangered the lives of its occupants and were never driven into Marawi’s battered streets where terrorist marksmen harassed troops from concealed positions. With too few APCs available, Filipino soldiers risked their lives driving to battle in unprotected Kia trucks. Steel panels on the either side of the KM450’s bed offered a bare minimum of protection. Via Wikimedia Commons. The weapons seized during the Battle of Marawi were a familiar assortment for the soldiers used to fighting Muslim rebels in Mindanao for decades. Aside from the World War Two vintage Garands and Brownings the terrorists also had light machine guns, anti-material rifles, and a few handheld rocket launchers–copies of the B-40/RPG-2 that have proliferated across Southeast Asia. The hard lessons from Marawi hastened the PA’s search for newer weapons, foremost being at least a battalion of medium tanks and long-range artillery. But one acquisition that hasn’t been confirmed is whether the PA need an armored 4×4 able to withstand both the rigors of urban warfare and the Philippines’ varied terrain. The elite Special Action Force of the police, known as the PNP-SAF, have their own tender for armored 4×4 but these are a small batch that must fulfill three requirements: amphibious mobility, a remote weapon station, and guaranteed after-sales service. The PA, on the other hand, may have sought a specific company to augment its vehicular fleet. President Duterte’s state visit to Israel in September resulted in two companies, Gaia Automotive and Stone of David, signing a memorandum with the government. Stone of David is a well-known distributor for Israeli weapon systems in Southeast Asia and they could be tasked with delivering an undisclosed number of MRAPs to the PA.
On November 13 the PA’s Bids and Awards Committee published a bidding invitation for “240 Units General Purpose Vehicles (Double Cab Pickup)” worth $5.6 million. The document provided no specific features that indicated ballistic protection or any performance requirements specific to armored trucks. Yet a separate effort by the Government Arsenal (GA) to produce both small arms and protective gear with help from foreign companies suggests the PA might soon acquire a bulletproof multirole 4×4. According to the Department of National Defense (DND), the GA and the South Korean manufacturer Samyang Comtech will jointly mass-produce protective equipment. Samyang Comtech specializes in advanced materials and has decades of experience making armor plate for the South Korean military’s vehicles and aircraft. They’re a supplier of armored panels to Kia’s LTV as well. So even if the PA are spoiled for choices when they decide to select a 4×4 troop carrier for their missions, their present use of Kia trucks and Kia’s own persistent marketing may lead to further orders for Kia vehicles like the LTV. This won’t diminish the possibility of separate contracts with other suppliers who may come from Indonesia, Israel, or Russia.